the locked carrier item option，please select the correct carrier of target iphone.if the carrier not including in the list ,please select input imsi,and input the 7 digits of the carrier imsi code,user can search imsi code in our website. when set it done,iphone will be unlocked via baseband loophole automaticly，but some iphone or some carrier not good adaptation at this logic，but no other better way to choose，so just watting the new iccid release again. 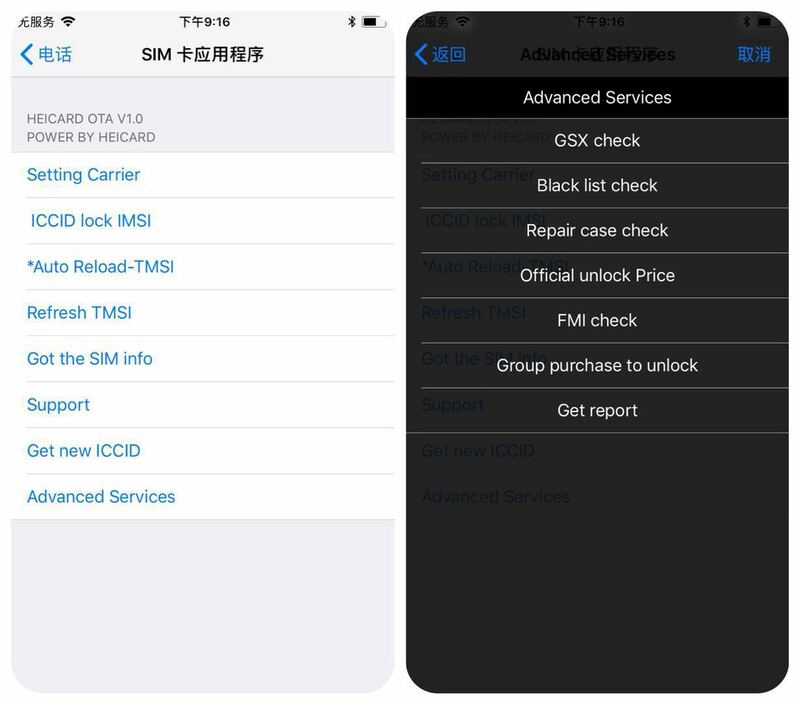 When new iccid release,please set unlocksim work with iccid logic,it will popup bellow menu,user just edit the old iccid to new iccid and send,iphone will request active again，with new iccid，all will perfect work. How about the sim application menu? Auto Reload-TMSI：it is set the unlock sim to keep spy the signal status，if signal lost，unlocksim will go to the request active mode to reload tmsi，and back to desktop.if not been selected,it is manual option to reload tmsi signal. Refresh TMSI:it is set for manual reload TMSI,if user choose to tmsi logic to unlock,the signal will lost ,user need select it to reload tmsi agian.